Whenever I travel, there are 3 important things I have to do research on. Tourist spots, shopping and dining. These are musts and either of them can not be skipped. Some people prefer one over the other. I love them all equally. I believe all of them are necessary to have a complete experience. So naturally when I went to Spain, I did my research as well. Tourist spots? Check! Best paella and tapas restaurants? Check! Shopping? Check! One of the many places I enjoyed shopping at was the ever so famous, El Cortes Inglés. Ask whoever has been to Spain and surely, he/she has been to the famous department store chain. It’s Spain’s iconic shopping mall–highly visible and always situated at the best locations. The most recent one has just been launched at the heart of Madrid’s business and financial district along Paseo de Castellana. It’s one of the largest and most unique stores in Europe, occupying a large part of a 22-storey landmark building enclosed by a backlit cylinder. Too bad it wasn’t around yet when I visited Madrid years ago. I would’ve loved to see not only the brands inside,which are said to be laid out like real luxury streets, but also, the department store’s modern architecture. El Corte Inglés in Castellana has the widest selection of international fashion brands in one center. A few of which are Cartier, Bottega Veneta, Bulgari, Dior, Gucci, Hermes, Jimmy Choo, Loewe, Louis Vuitton, Max Mara, Miu Miu, Prada, Salvatore Ferragamo, Tod’s, Saint Laurent, Carolina Herrera and Burberry. These stores are installed in a distinct and unique zone, each offering their own ambience and decor. 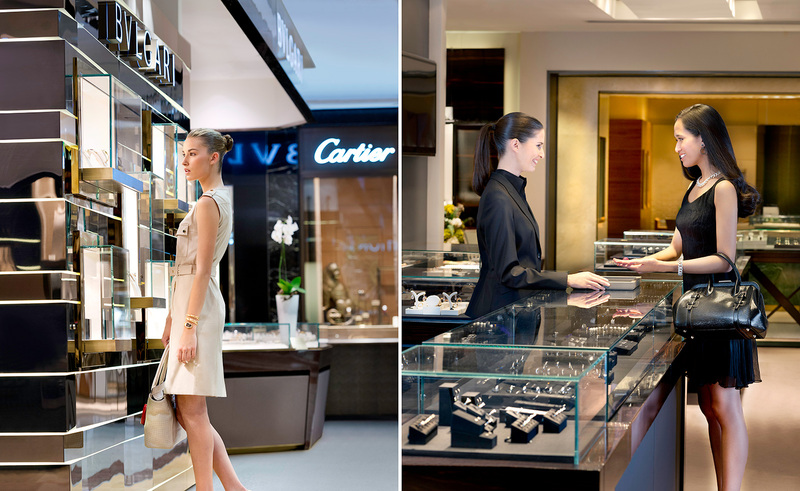 Aside from these, El Corte Inglés also has a vast selction of the most renowned brands of luxury watches and jewellery such as Bulgari, Cartier, Rolex, IWC, Panerai, Vertu, Blancpain, Tag Heuer, Omega, Pomellato, Dodó, Fred, Boucheron, Chaumet, Chopard, Piaget, Carrera y Carrera, Damian, Yanes, Elena Carrera, H. Stern and Messika. It also has an exclusive space presenting the latest ideas and models of luxury watch brands like Jaquet Droz, Glashutte Original, Baume & Mercier, Maurice Lacroix, Corum, Perrelet, Frederique Constant, Piaget, L.U.C. de Chopard, Girard Perregaux, Pedro Izquierdo and Pitá. I can go on and on with all these brands but I’m afraid we might run out of space because El Corte Inglés in Castellana has the largest collection of watches in Southern Europe (as well as luxury fashion brands)! This is the place to shop for avid watch fans. It even has a number of private areas where pieces can be viewed at one’s leisure before deciding on any of them in order to preserve the privacy of customers shopping for watches and jewellery. What a thoughtful idea! What’s shopping without delicious food to satisfy your palate? The Gourmet Experience in Castellana combines tasting with the sale of gourmet products for you to enjoy different types of specialities from around the world, such as Iberian cured products, seafood, smoked foods, grilled meat and fish, cheeses, nibbles and snacks, hamburgers, high quality Asian cuisine and freshly squeezed fruit juices. You can also find Godiva, Valrhona and Fauchon chocolates and a wine cellar that features exceptional champagnes and wines. 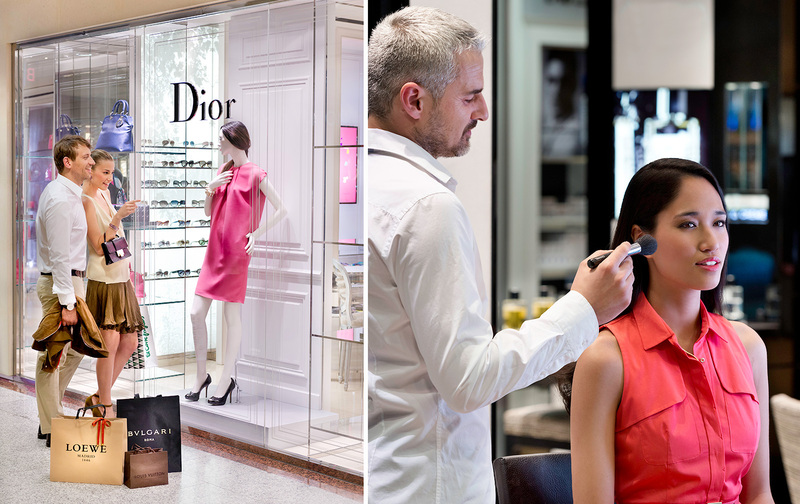 Nothing completes the perfect shopping experience than the best customer service. 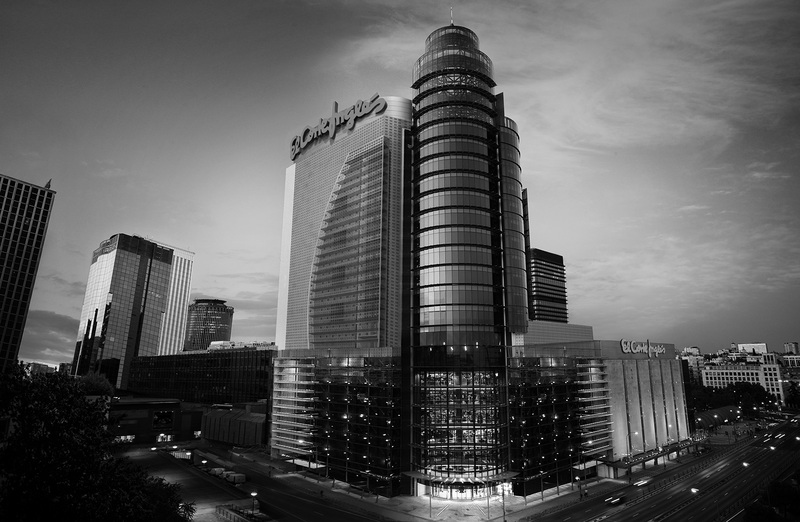 El Cortes Inglés in Castellana is one of the most welcoming places to shop at for foreign visitors. The staff are multilingual and well-trained in assisting customers according to their needs–everything from directing the location of a specific brand to an all-day interpreting service while shopping at the center. There’s also a tourist area where you can process VAT refunds of up to 16% of your total purchases (my favorite thing about shopping in Europe), shipping of your pruchases to your hotel or home country and more! El Cortes Inglés in Castellana truly goes beyond what is expected. Check out El Corte Inglés Castellana’s website here. Download its mobile apps on iTunes and Google Play. You should bring him there then! I´m from Madrid, El Corte Inglés was placed in many cities of Spain, Madrid has so much centers than any other one. You can find different types of El Corte Inglés stores, specialized in fashion, books, technology, music, supermarket… others are more global and have all of these sections in one store. Castellana´s store is more luxurious than anyone as you say, is “special”, bigger and you can spend more than one day visit it completely, the best it´s that is for everyone, I mean you can buy the most luxurious things, a laptop, a magazine, clothes of many brands (more affordable) or doggy plush for a kid, you only have to change of floor. That’s great! No wonder it’s such a favorite! I envy you! Wish I could travel there as well! Darn it!!! My brain died on me again!!! Didn’t notice that! Thanks Sarang! ME too!!! And explore the sights and food! I fully agree with your point of view tourism, in fact, different people have different points of view, the focus in the tourism process is somewhat different. I am in the process of watching tourism landscape is also very focused on the local customs, history and culture. i totally do the same thing before embarking on a trip – research, research, research… And talking about spain – i actually saw more of spain than my own country, so could probably say safely, that i know it pretty well…and yes el corte ingles is in each and every city, but there’s nothing special about this store…it’s just another department store, that’s it. I think visiting boutiques is sooooooo much more exciting…i’d skip el corte ingles in a minute, for more authentic and personal experience in boutiques. Oh that’s weird. Have you tried clearing your cache and browser history? oh my god. You’re living every girls dream!! traveling is not necessary for me as of now. WOULD love to shop in Madrid! Would be a dream and would definitely take your recs. You’ll love the shops there! I was in Spain last year, Salamanca in particular, where I visited Plaza de Major. I was in Spain, Portugal and France on a religious pilgrimage, but did do some shopping, dining and site-seeing. What a lovely country Spain is, I must agree. My trip did not include Madrid, although I would have loved visiting there. The shops you visited sound a bit expensive for the average tourist, I must admit. I enjoyed reading your blog.